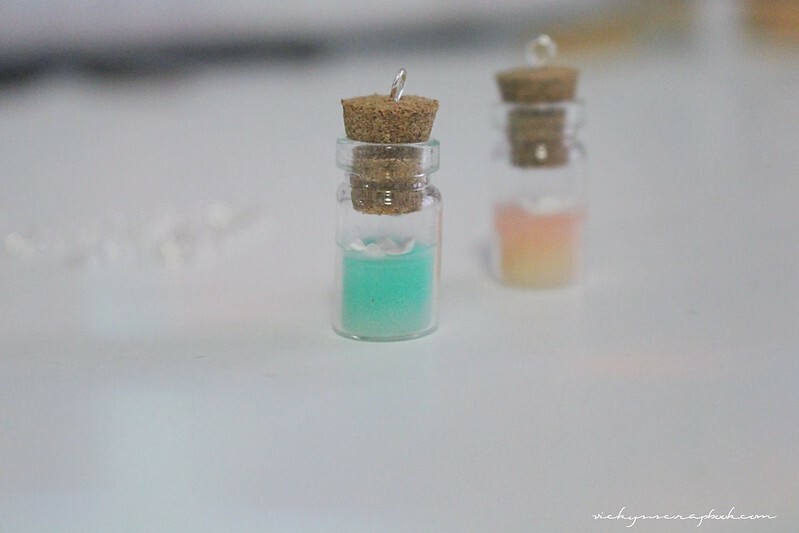 I bought some mini glass bottles with cork tops lately and was inspired to make a mini ship in a bottle. Since it’s almost Valentines, I made two of these as charms for a necklace or bracelet. 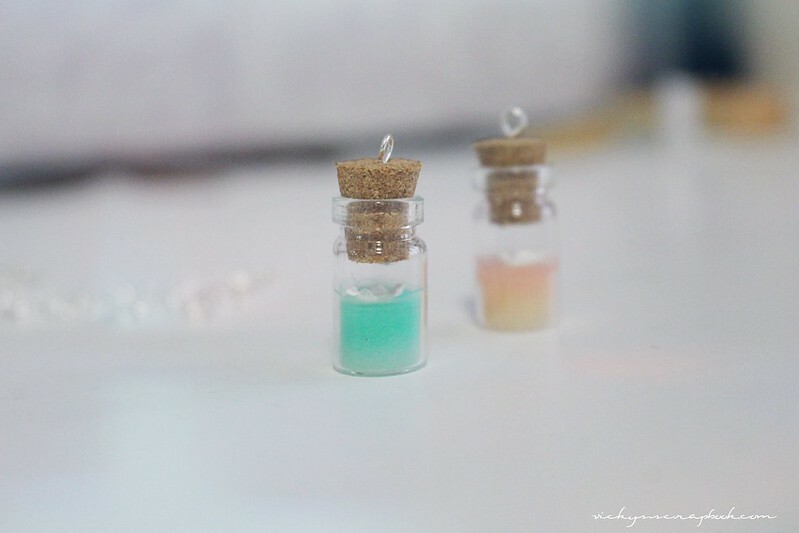 I first started by squeezing translucent liquid clay into the glass bottle, which I purchased on amazon. Then, I shaved in some chalk pastels into the bottle and mixed it until I have the right color. I made a greenish one before so I wanted this one to be pink. After I baked it, I made a tiny paper boat which I glued onto the top of the clay. The paper boat took me a few tries to get the right size into the bottles. The final step is to poke an eye pin into the cork top and cut off the excess. Now the charm is completed and I could attach it to a necklace or bracelet. The greenish one came out a lot better since I didn’t over bake it so don’t be lazy like me and remember to watch the oven! While I was at it, I made a jar of honey as well. Now that I’m done baking, it’s time to do some Valentines shopping. Have you bought your Valentines gift yet? These are adorable! Such a clever idea! 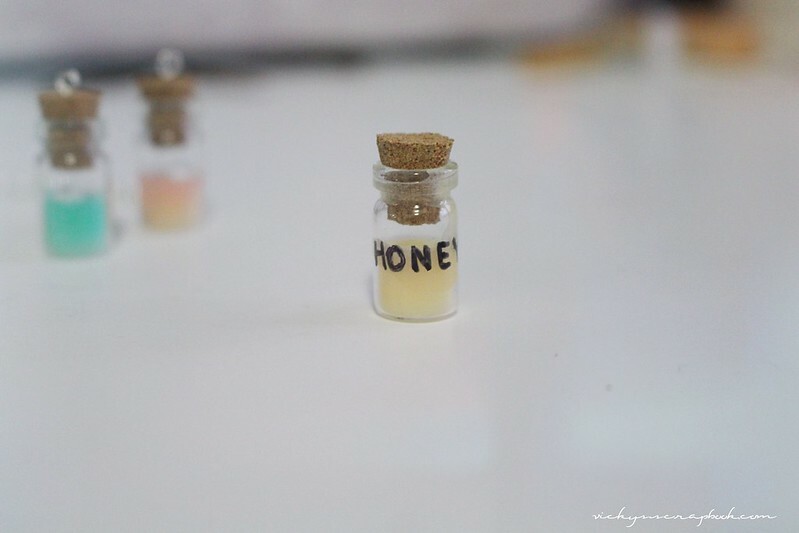 Hehehe so cute ❤ 😀 I actually really like the honey one LOL! And nooooo I haven't started Valentine's shopping,even though I should T-T Have you?